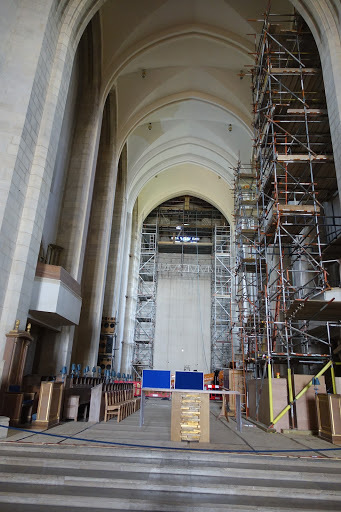 The Cathedral Church of the Holy Spirit, Guildford is an Anglican cathedral at Guildford, Surrey. 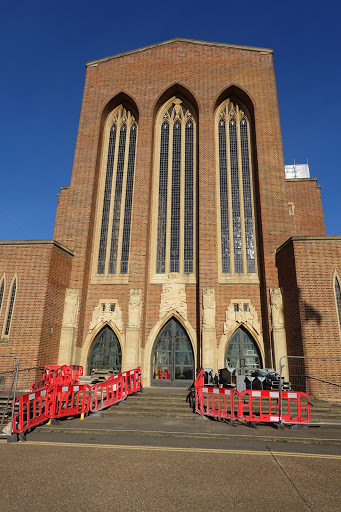 The Grade II listed building was designed by Sir Edward Maufe. 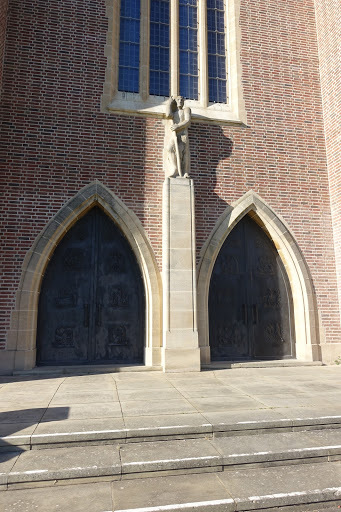 Construction began in 1936, but due to the war and a postwar lack of funds, was not completed until 1961. 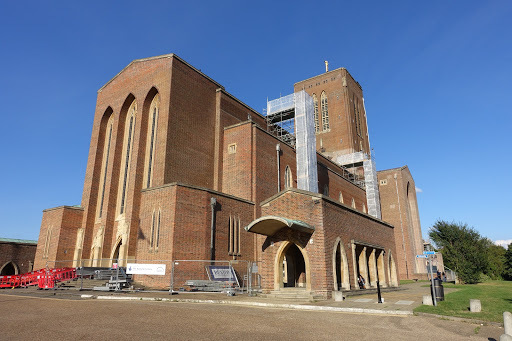 In the 1950s, funds were raised to complete the church by the then novel approach of asking the public to sponsor bricks for 2/6 (12.5 pence) each. Sponsors were entitled to sign their names on their bricks. The Queen and Prince Phillip both sponsored bricks and duly handed over five bob for the privilege. 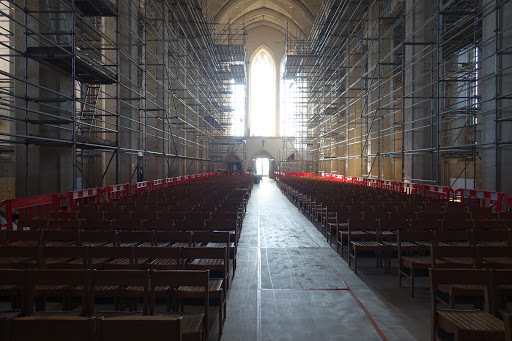 In August 2016, the Cathedral was undergoing an extensive program of restoration.